hikma Added 6 years ago hidaya!! may ALLAH blees us with hidaya. i read your post with great desire and I understand your point of view. Nevertheless, i have kept my view in a different way, as I do not sympathies with the view of political Islam; I believe there is more to the effort you try to mention, than what I read in the Ethiopian Muslim media out lets. 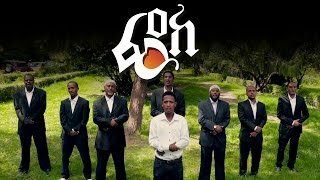 My biggest premonition is that may possibly be orchestrated to divide the Muslim umma, grow weaker furthermore keep them busy combating against each other, consecutively to safeguard orthodox Christianity as a sole religious powerhouse of Ethiopia. Saying the above, I also entertain second opinion, that is, the difference between the Muslim schools of thoughts; the problem can be initiated from the versions of the mezhabs or differences on translation of the main source of guidance for Islam the Quran and haddis and this has been exploited for political and religious reasons. 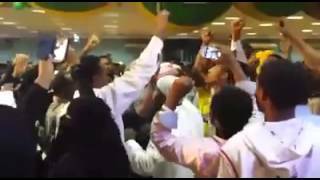 As I recall before I left Ethiopia, long time ago, there use to be a lot of disagreement around mosques, people use to complain about the wahabys destroying the long existing Islamic right path. When I visited Ethiopia recently, I have noticed this division had blown up out of proportion; also, I noticed more wehaby clique growing fast in number and the sufi /suni followers seen better days in number and have no major role in the interaction of the Muslim society. when i ask why this is happening I have been told the wahaby leaders receive financial support from the Arab countries mainly Saudi Arabia and the sufi sheikh have get no financial backer or the knowhow of today’s technology and this played against their advantage, honestly i was sad to hear that, because i grew up loving and respecting the sheikhs who have contributed a lot to the muslim umma and i believe they deserve better than this. one thing i know about those people is that they’re good in solving problems and naturally gifted to put situations under control before they grow evil in other words they have hikma. i grew up among people who have a great appreciation for the messenger of ALLAH /sww/. i missed sitting in hadra/ gathering and listening to qisa /Islamic teachings and their heart warming menzuma. during my last visit I have been told that’s haram it is bidaa, i remember my niece she was angry with me so badly because she have seen me buying some menzuma cd to, but the family told me she is in to the wahaby way of school, nothing i can do except telling her Resul ALLAH/sww educated us to stay in the middle course not to be in the extreme or lug behind, so i told her not to behave aggressively as it is counterproductive. this kind of bashing the sheikhs and undermine their effort is counter productive instead we could have try hard to learn from them. 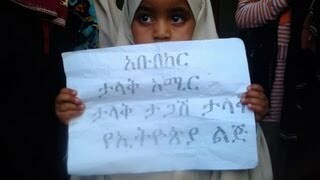 1-Please don't impose Ahbash on Ethiopian Muslims by force. The Government must refrain from intervention in relijious afairs. 3 - Let Aweliy college be adminstered by a board elected from the mulim community. Infact non fo thee quetions were dificultto answer for the government. Rather, the government intensionally try lead them to violence. It arrested elected muslim leadres. Falsely lable them to be "terorists". Any muslim unless serves the governments mischieves will not safely function the muslims. A a result of this The muslim movement leaders are forced to go underground. Unless some one is blinded by government propagnda or intensionally undermin the muslim movement this situation is cristal clrear. If you are still insisting to advise us to bring our muftih to confront the government, it will be "doron siyamognuat bemechagna chanuat"
1 - To irritate and frastrate the mulims and immotionally start violent straggle. 2 - If muslims started violent straggle, the governmet thinks that it can uset this termoil aa a justification and convince the American government to get full financial and military aids. 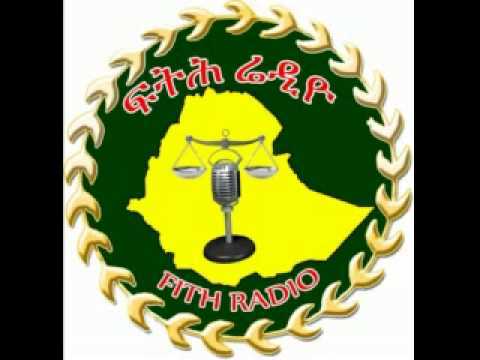 3 - The government is working day and night to create conflict between Ethiopian muslims nd Christian. This is the government strattegy to subistitute the dying tribal based divide and rule system. The government is very eager to push the muslim movement to violence in order to intimidate our chritian brathers and take the government as the only savious. All this effort i the extend its short lifed hegemony corruption. 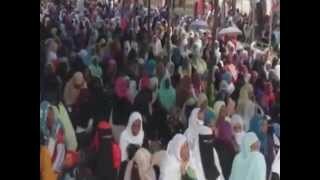 However, all ethiopian muslims are moving hand in hand to erradicate this brutal and greedy government. 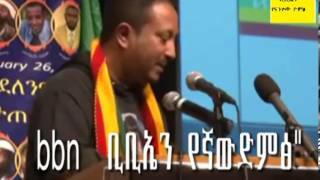 Ethiopia will be a Free Democratic land for its poeple regardless of religion and etnicity. All Tigrians are our brothers. 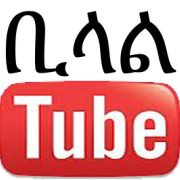 we will focus and target our straggle to the ledership of EPRDF. The Almighty Allah lead us to the right path. Amin. 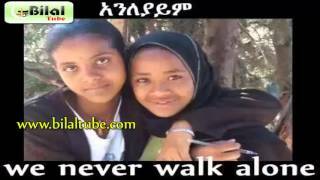 ethio love Added 6 years ago It is really amazing report ..We all need to work out in our freedom !!!!!! 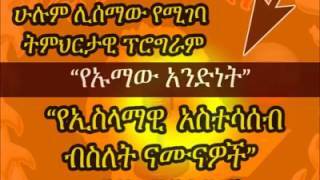 Ye Shk Mohammed Hamideen Meleket Sele Teqawumowachen '' Hulum Yesmawu"